This apartment is in the complex of Seguro del Sol. 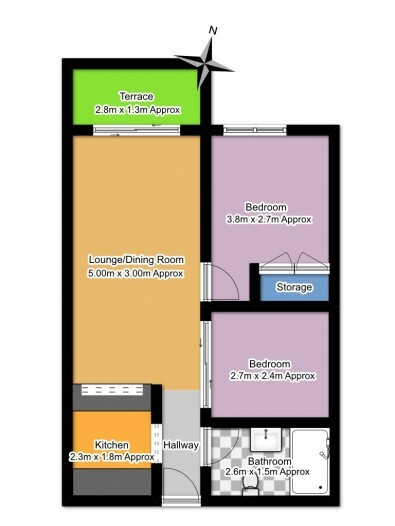 It consists of two bedrooms , the master bedroom has fitted wardrobes and a window letting plenty of sunlight in. The second bedroom is smaller and at the moment it has bunk beds in. The bathroom has a walk in shower. This apartment also has an open kitchen leading onto the lounge that has access to the terrace.The terrace has views to the sea.The apartment is very simple and clean and is great for a small family. This complex is maintained to a good standard , it is in a great location and has a generous sized communal swimming pool.